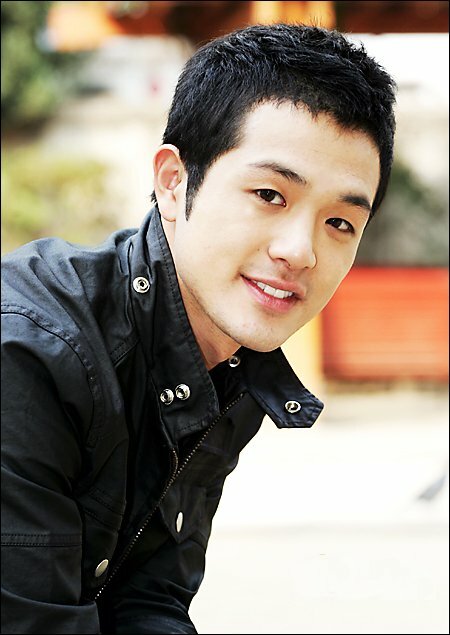 Lee Young-Hoon was born in Gwangju, South Korea on December 14, 1982. He began his acting career after joining the MBC Academy while in high school. Some of his peers at the MBC Academy were future actors In-seong Jo and So-yeon Lee. In 2001, at the age of 19, Young-hoon was casted by Hee-il Leesong for his short film "Good Romance" (Kut Romaenseu) as Won kyu. Lee Young-Hoon then entered Suwon Science College as a drama major, and practiced and performed on stage at the university. Young-hoon then served his mandatory 2 year military requirement. Upon his discharge, Hee-il Leesong casted Young-hoon in the independent film "No Regret" (Huhwihaji anha) as Su-min. Young-hoon found the role difficult because it was 4 years since he last acted on film. "No Regret" became somewhat of a ground breaking film as it attempted to realistically portray the lifestyle of a gay man working in the male host industry. The film screened to packed audiences at the 2006 Pusan International Film Festival and became a hit in the film festival circuit as well as being widely praised by critics. Young-hoon would win the best newcomer award at the The Critic's Choice Awards presented by the Korea Film Critics Society. In 2008, Lee Young-Hoon appeared in his first major commercial film "The Guard Post" as Corporal Jin-won Kang, as well as the romance film "Ride Away". After performing as a gay man in "No Regret," Young-hoon Lee is often asked about his sexual orientation. Young-hoon has stated his sexual orientation is heterosexual. Young-hoon Lee's first CF (commercial film) was in 2007, when he appeared in a commercial for McDonald's. Some of Young-hoon's favorite activities are swimming, skiing, and inline skating. Raja Manalo Oct 14 2014 7:48 pm I line this film, Kim nam gil is best actor, I always watched all film of kim nam gil. Gab Dec 17 2013 11:53 pm One of the finest actors in korea. Very realistic and believable acting. Hope to see him in more movie and hopefully a good series as well. ronaldo Oct 04 2013 1:21 pm Just wondering why he don't have much drama series??? Camille Jul 09 2013 9:29 pm Such a talented guy O.O I've rarely ever seen acting so subdued and REAL. And gosh I love his beautiful face. Barrie Jul 03 2013 8:56 am No Regrets started my interest in Korean films and a actually love you in the part and think you are the most handsome Asian guy I have seen. mike budiana Jan 04 2013 1:08 pm No regrets is little bit such as my life...you're really good,man! Thumbs up!!! andrew Nov 25 2012 9:17 am Kudos to you Lee Young-Hoon! ... your acting in "No Regret", which I caught just now, was impressive, natural and convincing. I could feel the pain and anguish that you portrayed in it. It was a heart-wrenching movie with excellent casting. Hope to see you in more movies. Wishing you all the best with your career! iman Jul 05 2012 2:05 pm lee..you are so cute and handsome,. i think your gay.. because your act so awesome. i hope we can meet later.. i'm from indonesia. Moee Apr 27 2012 7:51 am Just watched "No Regrets" on you tube, what an awesome performance by Young Hoon-Lee. Will u marry me. Simonchu25 Feb 02 2012 1:12 am U r the best! Kiddo Oct 07 2011 6:34 am I'm so in love with you. You've made no regret one of my very few best movies. You should really be gay, I'm sure tons of ppl out there are wishing the same. You made me crazily joulous of the other Guy acting with you in no regret. Another GAM Jun 08 2011 12:33 am You are such a great actor. The "No regret" makes me feel like crying. You make me believe you were not acting. It is so real. james May 21 2011 5:02 pm I was so thrilled with your portrayal in this movie "no regret"...indeed i didnt regret watching it. There was depth of emotions with your acting. I was moved. Hope to see good movies in you. Good luck! Lvhung Apr 30 2011 9:34 pm I like U, Lee Yeong-Hoon, especially your cast in "No Regret". To me, U are No1 Korean actor. alicia Mar 29 2011 12:31 am ah se me olvidaba felicidades desde Monterrey, México. mR. ellen Mar 20 2011 6:45 pm I like "no regret" very much I feel U the action at "no regret" come from himself's heart Good luck to U! Best wish to U Lee Young Hoon numberone!!! vic Dec 24 2010 11:07 am Better than brokeback mountain. cuter too. BEd Jul 24 2010 11:09 pm LYH is great actor.. I really thanx him because of his movie No Regret If I will visit Korea I will be sure to see him face to face ..
ha quyen May 23 2010 10:14 am Will always support you!! Big Promise!! Refy Mar 23 2010 6:38 am He's one great actor from south korea! I really like all of his movie. Stephen Mar 20 2010 12:32 am After watching "No Regret" and researching Lee Young-Hoon, I've fallen in love with this actor. He is the greatest Asian actor to hit the states...ever. a quien le importa su preferencia??? lo importante es su trabajo, tan bien hecho que todos "creen" que si es gay. felicidades desde MEXICO. D.F. Manny Mar 05 2010 3:21 pm This guy, Lee Young-Hoon is the BOMB. he's not only the cutest with a great BUD, but, he's talented and a natural. Best of LUCK in the future in all ur endeavors. Do u want to be my boyfriend? Jemi Feb 26 2010 12:26 am Great movie! Great lead actors. Kudos to the director, writer, editor and the rest of the crew. Eko Wijayanto Indonesia Jan 11 2010 3:40 am I come from Indonesia. Your film titled "No Regrets" truly extraordinary. I want to ask: what are you really a gay? hahaha ... I wait for your next movie. meboys Sep 07 2009 8:22 am very romantic person and film, two thumbs for the actor and director, lee young hoon....i love u so much..
OceanVinci Aug 03 2009 6:24 am he so cutest ..... I like "No ReGret" and "Ride Away"
boyxxcodon May 12 2009 7:17 am I like "no regret" very much I feel U the action at "no regret" come from himself's heart Good luck to U! Best wish to U Lee Young Hoon numberone!!! david May 03 2009 11:03 pm I was moved by the movie. I am not a fan of Korean movies but this one made me change my mind. Hey guys, what if Mr. Lee Yeong-hoon is a gay(which I really don't think so)? It doesn't matter what his sexual orientation in, as long as he can act that's the most important thing right? We all enjoyed the movie because it dealt with our pitfalls and our humanity. Everyone can all relate to this, whether you are straight or not. Bravo to the director and the actors! Ann Apr 10 2009 4:42 am TheBunto - I agree. I wonder if he really is gay. Someone knows this information, please share! adiya Feb 05 2009 12:49 pm no regret is very great movie and lee is cute. CJ Ferry Aug 26 2008 10:39 pm I really love his act at "No Regret". I have no regret watch that movie... He's so cute, right?